As soon as I read that sentence, I had to have some honey muffins. I needed to have these honey muffins. Honey muffins were seared into my brain like a power word and I had to own the honey muffins or they would own me. 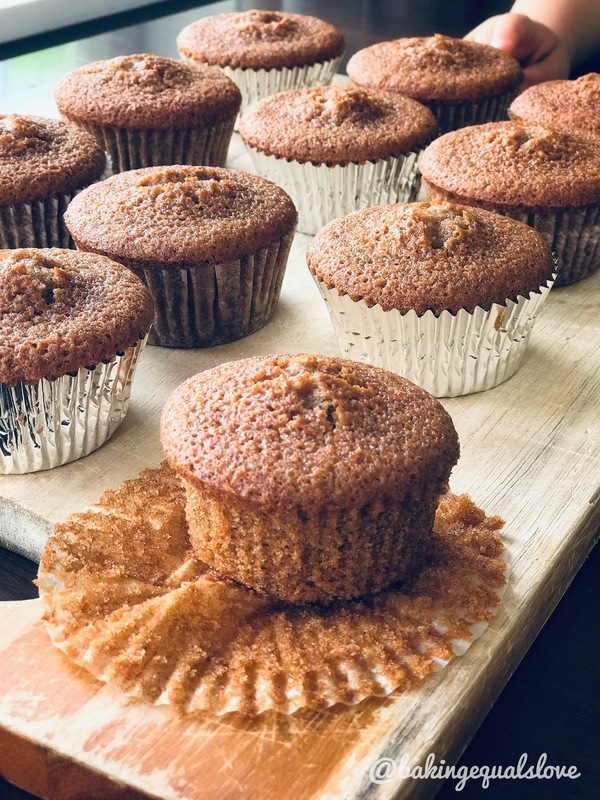 So I went away and looked up about 2975 honey cake / muffin / cupcake recipes and got a bad case of analysis paralysis - would they be like the honey muffins that taste like cornbread? Or more like Jewish honey cake? Or are they a version of Scottish honey cakes? Or perhaps the Ukraine honey cake recipe? Decisions decisions. I wanted them to be pillowy soft, golden with a strong honey and vanilla flavour. Sweet but not too sweet. But not bland either. They had to be just right. In the end, with so much expectation riding on these muffins, I adapted a ginger muffin recipe I knew and loved to create my dream honey muffins. The smell of these baking in the oven was out of this world. They did literally fill the room with the aroma of vanilla and honey. The muffins were also gorgeous and tender - little pillows of sweet honey and vanilla and spice. Really hit the spot. I think Martha the were-bear would've been proud of me. Thank you so much Ilona and Gordon for the inspo and for the hours of happiness I spend in the worlds you create. 1. Preheat the oven to 160 oC making sure the oven rack is in the centre of the oven. Line a 12 cup muffin baking tray with cupcake liners. 2. In a small saucepan, heat the butter and honey until melted. Take off the heat and set aside to cool. 3. 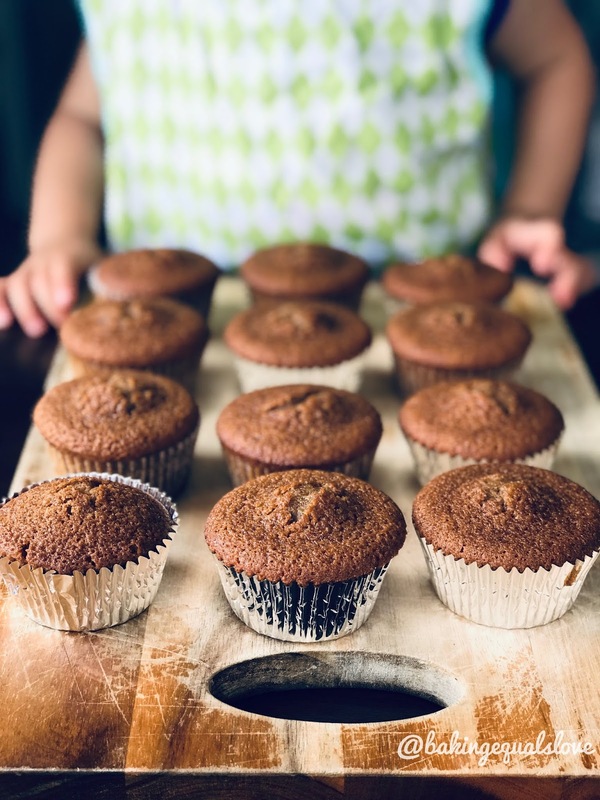 In a mixing bowl, whisk together the flour, brown sugar, baking soda, baking powder, cinnamon, mixed spice and salt until well mixed with no lumps. Make a well in the centre. 4. Add the milk, egg and vanilla to the melted honey-butter mixture and whisk well. 5. Pour the liquid ingredients into the dry ingredients and whisk until smooth, using a gentle hand so not to over mix. The mixture should be quite runny. 6. Divide the mixture between the cupcake liners, they should be filled to about 3/4 full. 7. Bake at 160 oC for 20 minutes until a skewer comes out clean. Take out of the oven and cool in the baking tray for 10-15 minutes before transferring to a wire rack to cool completely. Be careful when taking the muffins out of the baking tray as they are very delicate. These will keep in an airtight container for around a week. The flavours will develop and deepen overnight.